Evil takes many forms. A goat, a crow, what's next? A24 has unveiled a creepy new teaser poster for Robert Eggers' The Witch, a Colonial-period horror that premiered at Sundance about a family haunted by an evil witch. We featured the first trailer for this film a few months ago, and then Jeremy followed up with glowing review after seeing it at Fantastic Fest. In addition to this new poster debuted on Friday the 13th, an official website has launched for those curious about this evil horror feature. You can learn more about the family tormented by a goat and crow and other evil things. The film arrives in theaters theaters February next year. 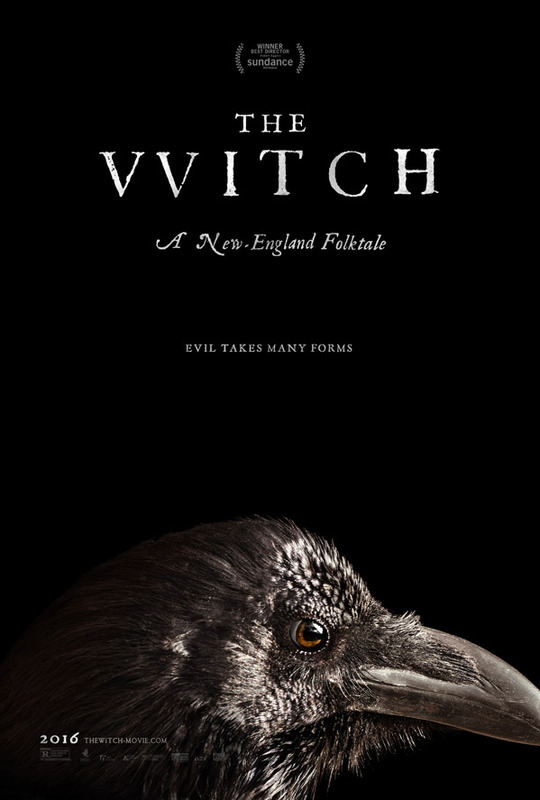 Here's the new teaser poster for Robert Eggers' The Witch. For more visit: EvilTakesManyForms.com. You can still watch the first official trailer for Robert Eggers' The Witch here, to see footage from the film. New England, 1630: William and Katherine lead a devout Christian life, homesteading on the edge of an impassible wilderness, with five children. When their newborn son mysteriously vanishes and their crops fail, the family begins to turn on one another. 'The Witch' is a chilling portrait of a family unraveling within their own fears and anxieties, leaving them prey for an inescapable evil. The Witch is the feature directorial debut of filmmaker Robert Eggers, who also wrote the screenplay. This first premiered at the Sundance Film Festival this year. A24 will release Eggers' The Witch in theaters sometime in early 2016. Yeah! I am psyched for this movie. I have heard some great things about it. // Was there a time when two "v's" made a "w"? How is this poster creepy? Please enlighten me.